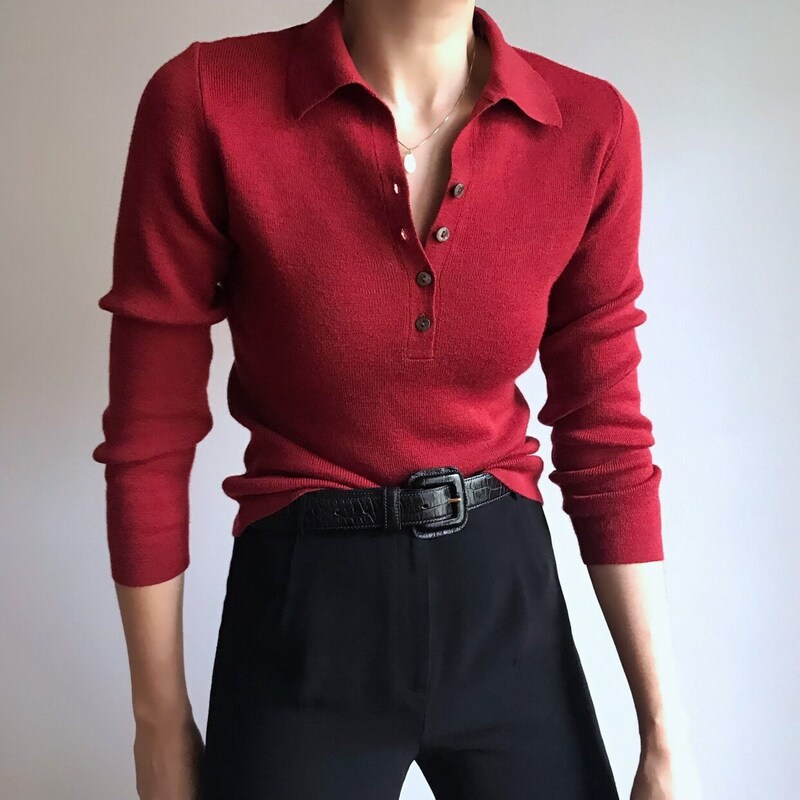 ‘90s vintage wool blend cherry polo knit with four button closure. Size on label S. Will fit XS/S. Shown on a size S model on the picture. Fabric mix is %60wool %40acrylic.